Nothing is worse in business than having to repeat processes using more manpower because business systems are not united. We have found an Independent Software Vendor or ISV, called Dynamicweb that integrates your eCommerce with ERP, giving your customers a dynamic, seamless buying experience. But more importantly like Dynamics AX, the product lightens manufacturing's work load in bringing a product to market. Clients First initially engaged with Dynamicweb at the Dynamics Summit, and instantly saw the value of the ISV for manufacturer's. 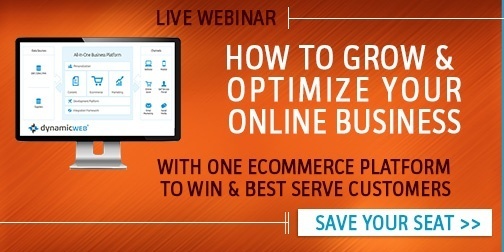 Dynamic web's one platform approach helps your company grow and optimize your online business. 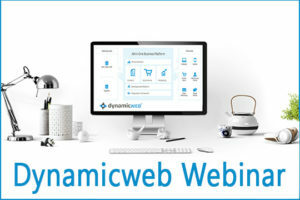 Register To Begin A One Platform Transformation with Dynamicweb. The united approach of this ISV benefits your company in not only having ecommerce content management and email marketing in one platform; but it integrates with business systems, and optimizes operational costs by integrating your ecommerce and ERP like Dynamics AX or Dynamics 365. For more information about the integration between Dynamics 365 or Dynamics AX, we invite you to get in touch with our friendly advisors at Clients First Business Solutions.